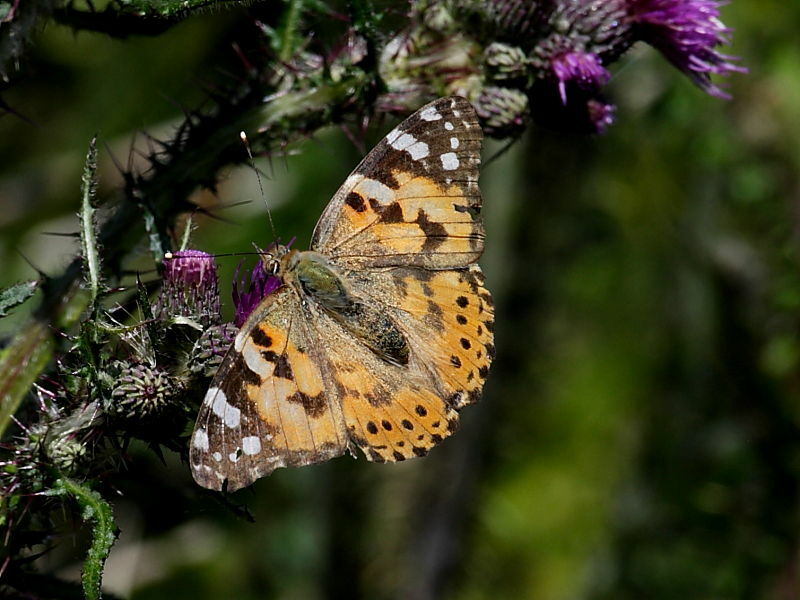 There haven’t been any big influxes of migrant Painted Lady (Vanessa cardui) butterflies into the south west of Cornwall so far this year. Since April there have been odd ones scattered about and this worn specimen was seen at Windmill Farm on The Lizard last Saturday. Despite keeping an eye open for their caterpillars on thistles none have been found so far. The largest migration movement of moths and butterflies can often happen later in the year, depending on weather systems, so fingers crossed.